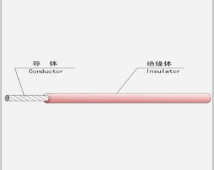 Here is High Quality Ev Car Cable Manufacturer talking about Cable conductor annealing process. The interlocking armor is a single-layer armored structure, which is characterized in that the aluminum alloy strip is pre-pressed into an "S"-shaped curved surface, and is rotated around the core of the core with the core of the core, and the "S" curved surface of each section is itself They are interlocked to form a self-locking armor layer. The armored belt adopts 5000 series aluminum alloy belt, which has good forming processing performance, high strength, especially high fatigue resistance, corrosion resistance, and weldability, but poor cutting performance. In addition to the equipment factors, the material properties, section geometry, size and fastening clearance of the alloy strip are the key to the technical requirements. The required armor pitch is uniform, even and flat, no cracking, no detachment, and can withstand armoring. Detection. Mold design and processing, adjustment of mold stations and tensions, and the accumulation of experience of operators are very important. If you are interested, please inform us of EV@sanew-cable.com.